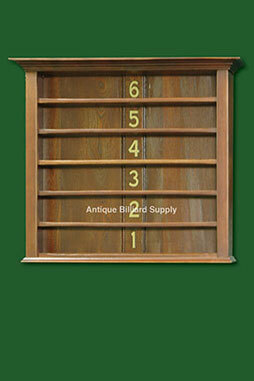 #6-15 Antique Brunswick ball rack with six shelves. Completely restored with golden brown finish. Manufactured about 1900, solid oak construction. Gold-leaf numbers on the vertical rear panel designate each of the six shelves.